before. It was amazing to see the amount of biodiversity that exists in the Amazon, something I had heard about before traveling there, but never realized what extreme biodiversity would truly look and sound like. I couldn’t walk two steps without finding a new plant, animal, or fungus that I had never seen before. The whole trip, I was in awe of the beauty of nature, but saddened by the underlying problems that exist in the Amazon. was a part of between our group and indigenous women from the Waorani (or Huaorani) community. There are 14 different indigenous nationalities in Ecuador, but the Waorani have territory near and in the Yasuní National Park. Most of the women and children I met could speak Spanish, but the older generations only speak their traditional language. The language barrier was an interesting experience because two older women were teaching me how to weave, but we could only communicate through gestures and by me silently watching them work. The Waorani women came to show us their artisan skills and taught us how to peel palm leaves which is the first step in the process to turn palm leaves into thread for weaving. The palm leaves then have to be dried, cooked, and then dyed in order to become strong and colorful threads for weaving. This process I was told takes many hours of labor. It was amazing to see the skillful ways that the women were able to create jewelry and household items with mere threads. I later learned that the women often come to sell at the science observatory because there are always groups of backpackers or researchers staying at the observatory. The cycling groups of foreigners has created a profitable market for the Waorani to sell their handmade items. This artisan market is just one way the Waorani have had to adjust in order to “modernize.” After teaching us for an hour some of their skills we were able to buy handmade items from the women. I believe that this learning interaction and sharing between our group and the indigenous women was very important because indigenous communities have been disrupted by development or “modernization.” This disruption and often destruction come under the veil of modernity and progress, which has been a part of the political rhetoric for generations. The idea of modernity or development has been booming in North America and Western Europe since the Industrial Revolution, but really took off around the world post-World War Two, and the model of development created by the West has slowly been reinforced as the best model of life in countries all over the world, and Ecuador is no different. 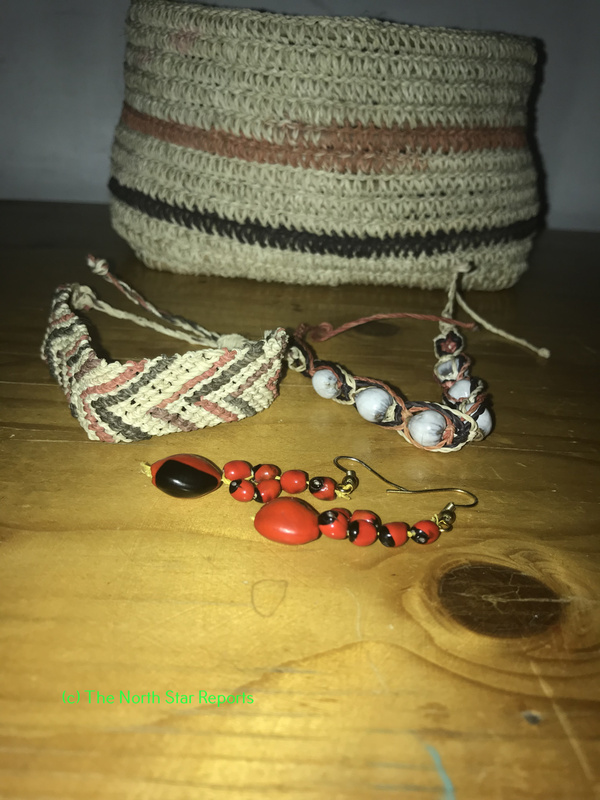 For example, forty years ago the artisan market would not have been the custom because for generations the Waorani have been nomadic people and would have never needed to create jewelry or household items in excess because it would have been difficult to move around every 5 years or so. It is important to understand that the Amazon is rich in biodiversity, but the soil is poor and lacking in nutrients due to the constant rainfall. The poor quality of soil makes it difficult to cultivate crops in one area for more than a few years, hence the necessity of a nomadic life. However, since the beginning of oil exploration in the Amazon in roughly 1970, the Waorani and nearly all the indigenous groups have become less nomadic and eventually sedentary because oil companies have slowly bought the land of the Amazon which was once the open territory for all indigenous groups. The oil companies had a fairly easy time buying up the land of the Amazon because when the indigenous groups were asked to show their paper deeds to the land, they came up empty handed. This idea of owning land is not historically a concept that indigenous people have lived by. Instead, this way of thinking is purely Western and has been enforced all over the world. For example, the United States’ has a similar history with indigenous people from the territory which was once Mexico and is now California over to Texas. There are only two Ecuadorian indigenous groups that are still semi-nomadic, and they have maintained this lifestyle by going into voluntary isolation. This isolation means that the two groups refuse to have contact with the “modern” world. These groups, like the Waorani, live in and around Yasuní because it is meant to be a protected zone. There is also a zone called the intangible zone where oil companies have yet to move in to. However, as I have learned in class, it is often difficult to know where the two indigenous groups are because they are nomadic and because of this minor detail, the oil companies have been allowed to move into land that could possibly be home to these two groups. The Ecuadorian Constitution of 2008 gives rights to indigenous groups so that their land is to be respected and protected, but because these two groups do not have contact with the outside world it is easy to claim that no one is living on the territory when a new oil opportunity arises. The problem with the claiming of indigenous territory by oil companies, is that it is erasing the existence of indigenous people in Ecuador all together. There have already been two indigenous groups that have went extinct since the beginning of oil extraction. The loss of culture and way of life is daunting, but so is the loss of life due to contaminated water and food sources. Denying the existence of people on the protected land makes it ethically justifiable to extract oil from the area and contaminate the indigenous people’s way of life. As mentioned before, there are 14 different indigenous nationalities in Ecuador that make up 7% of the population. Currently, indigenous people are experiencing severe health conditions that are occurring due to living in contaminated zones due to oil pollution. Since the beginning of oil extraction there are more cases of cancer in indigenous people, with cancer accounting for 32% of deaths to the populations, which is three times the national average. Furthermore, there are many different skin conditions affecting the people in contaminated zones due to acid rain and bathing in contaminated waters. My time spent with the Waorani has been a wonderful and eye-opening experience. I really admire the symbiotic relationship they seem to historically have with nature, and I believe that we have a lot to learn when it comes to living in harmony with the land. I have learned in class that the indigenous groups of the Amazon believe in Pacha Mama, which would loosely translate to Mother Earth. Pacha Mama is more than just words, it is the inter-connectedness of all that exists: human beings, animals, rivers, mountains, the cosmos, etc., and the belief that every being living or non-living is deserving of our respect. I have never felt smaller in this universe than I did standing silently in the middle of the rainforest surrounded by the harmony of nature. 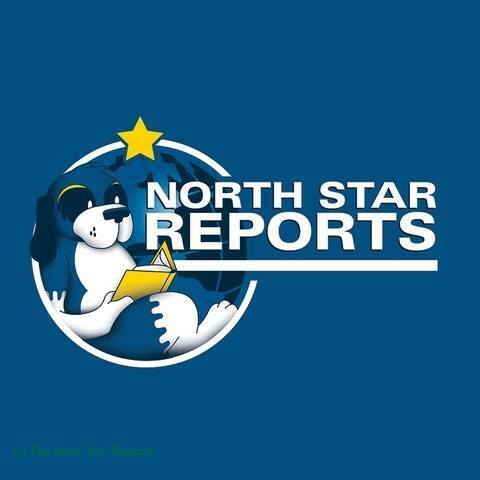 Megan serves as an assistant editor for The North Star Reports. Hi, Megan! I am so excited to read a bit about your time studying abroad. It sounds like you are having an amazing experience. Thank you for sharing information about the Ecuadorian groups that are still semi-nomadic. As explained in World’s Together World’s Apart by Tignor, early humans were nomadic due to the drastically changing climate, and “survival required constant adaptation” (p. 8). Based on the information you provided, it seems that these nomadic groups are more concerned about surviving human influences (oil extraction) rather than climate changes like past humans. It’s scary that oil companies are claiming territory without being completely sure that the area is uninhabited. Besides the Ecuadorian Constitution of 2008, do you know if there is anything else being done to protect these people and their culture? Yes the Constitution of 2008 was a great start, but the reality of the law that was created isn’t going as planned. There have been a lot of social movements for indigenous rights and the rights of the environment, but those fights aren’t as large currently. However, the women’s movement here is quite active. I work for an environmental organization and they have many different branches of protection and awareness to help spread information and collect data to help win court cases. Currently, I think court cases are the only thing fighting the unconstitutional actions of the oil companies. Well that and the power of the words of the people who have been effected by the damage. Thanks for the question! Thank you for expanding my knowledge of the Waorani people and Amazonian culture. It is fascinating to know that there are still a few groups of people in the world that are living without any ties or help from the modern world. In the textbook, “Worlds Together Worlds Apart”, Tignor et al. mention adaptation in the text quite a bit. In order for early humans to survive, it was necessary to adapt to the ever-changing physical environments and if they did not adapt, they would not survive (p.8, 2018). In regards to the Waorani people and other nomadic people, they have been forced to adapt by constantly moving living locations because of the modernized world invading their land. It is important to bring to light how the modernized world is hurting and not helping in this sense. Thank you for your post! I loved reading about your trip to Yasuni, and found it truly heartbreaking to read about the devastating truths you learned while you were there. It reminded me of the time I spent there and how hard it was to learn the challenges these people face while also taking in the immense beauty of the Amazon. It reminded me of our Tignor textbook that touches on how humans have evolved to have the skills and abilities they do today. I have never seen such beautiful weaving as the women made with us, and I can only imagine how many generations that skills has been passed down through. I cannot wait to hear and read more about your experience in Ecuador. I am envious of your trip. It sounds like you have been having an immensely meaningful and educational experience. I appreciate many of the insights within this article. Particularly, I feel that “Pacha Mama” is a beautiful phrase. Would you say that connecting with nature is one of the best ways to re-center? I can’t think of a single place in which the interconnectedness of the earth is more clear than in the outdoors, and I imagine that concept is compounded in the Amazon. Would you agree? I look forward to hearing more about your trip! Thank you again for sharing this. Your experience in Ecuador sounds amazing, and it is very exciting that you get to be there for a whole semester. I was actually just reading in my textbook this week about nomadic peoples and the struggles that they have to endure. Tignor in the textbook “Worlds Together, Worlds Apart” talks about how they had to continue to move to new pastures for their herds (p. 46, 2018). Much like the indigenous people in the Amazon had to migrate for better soil. I cannot imagine the hardships that nomadic people have to endure as you got to see first hand on your trip. It sounds like the Amazon was both an amazing but also a devastating experience. It is terrible that so many of these indigenous groups are becoming extinct. I just read about the nomadic lifestyle in Worlds Together, Worlds Apart and it is interesting how this lifestyle was favorable in 5500 BCE. They lived with the agrarian people but still maintained their pastures. It is interesting how the people in the area you visited volunteered to go into isolation. I hope you are enjoying your time in Ecuador! I studied abroad in Ecuador last semester, so I often find myself going back to articles about other student’s experiences in the country as a way of reflecting and making connections to my own experiences. I’m glad you enjoyed visiting Yasuní and learning about the various indigenous populations that live there. Something that I found very striking was that many of the indigenous groups had to sign documents in order to remain on their land, but by doing so they were not allowed to oppose the various companies (such as the oil companies) that go into their land and exploit its resources. I really like how at the end you connected everything to Pacha Mama and the significance it has to the people. It reminds me of an article that I read that says that, to them, all life exists in the forest. Thanks so much for sharing your experience! Thank you for sharing your experience in Ecuador. It sounds like you are learning a lot of new information. It is saddening that the indigenous groups of people are getting their land taken away. When I was reading about these groups it made me think of the transhumant herder communities that were located in Southwest Asia around 5500 BCE (Tignor et. al, 2018). This group of people were settled near the agrarian people and were not taken over. I think it would be interesting to find out how many nomadic communities are in the world today. Thank you for sharing your incredibly eye-opening and educational experience. I was actually able to experience some time with an indigenous community in the Philippines in January on a college trip as well. It was incredible to be able to see their way of life and how happy they were with their beautifully simplistic way of living. I learned so much from witnessing and being immersed in their culture for a week. While reading the book “Worlds Together Worlds Apart” by Tignor et al., it was stated that nomadic peoples and their communities were small and had impermanent settlements allowing them to have stable seasonal moves as needed (Pg. 46). In the Philippines, their homes were mainly made of woven together leaves, sticks, and some of cement. This population was very useful of their resources and appreciated everything they had. After witnessing the life of indigenous communities in the Philippines, it truly makes me appreciate all that I have and everything in my life that I have access to. Megan- thank you so much for writing! I miss hearing your thoughts on campus, but reading about how your eyes are being opened on this trip is just as wonderful. I can’t imagine the beauty of your surroundings in the Amazon or by the Waorani people. There is so much to be learned by being immersed in a culture that isn’t rooted in Western ideologies. It’s also fantastic that you got to learn about traditional weaving practices considering your deep love of yarn-related creations. In your experience so far, how many young indigenous people are bilingual? Are there indigenous people you’ve come across who only speak Spanish? Obviously your focus here is on the land and the destruction of biodiversity due to oil and greed, but your mention of Pacha Mama is a really important consideration. Phrases and words in indigenous languages often don’t translate, so when language is lost, so are values and practices like environmental stewardship. It is so frustrating to see that in spite of the development of the 2008 Constitution, indigenous peoples are still being pushed aside without repercussions to the oil producers and that those peoples who stay are facing such serious health risks. Are there any plans for further protection of the forest or the peoples? Thanks for the wonderful reflection of the article. It is hard to tell if the youth are fluent in their traditional language or not. I believe that they have a mix of an indigenous language at home and then Spanish and English at school. I know there are a couple children that stop by my internship office after school and they are all learning English. It is sort of the educational standard here…that is a topic for another day. Yes, with regards to Pacha Mama, it is not only words, and the true significance that the people attribute to Pacha Mama could never translate or be fully explain by someone outside of this tradition and way of viewing the universe. Also, about the environmental protection. It is great that the Constitution gives rights to nature and it is the first of its kind, but I have found many people are disillusioned with the promises of the Constitution because of how they are playing out in reality. Not just Ecuador, but the world will need an economic, social, and cultural change in order to stop the high demand for oil or minerals that is decimating areas like the Amazon rain forest. Thank you for sharing about your experience! I found it interesting how the Tiputini River brought together a bunch of people, specifically researchers and nature lovers. Although there is a different purpose, past civilizations also were brought together by rivers. Tignor in Worlds Together, Worlds Apart discusses how rivers were often the foundation for cities in ancient times. Tignor states, “…From which civilization evolved and flourish unbroken until this day” (2018, p. 45). I think it is interesting how cultures and people have changed, but rivers hold true to meeting grounds that provide great life to this world. I would like to start off by saying how amazing studying abroad in Ecuador sounds. I grew up loving to watch discovery channel and animal planet to learn and see all that our world has to offer. I was also lucky enough to spend some time in Costa Rica hiking and traveling through some rainforest and would go back in a heartbeat. Moving on to your main topic, I do agree there has been a lot of harm done to forests and not only rural communities and land, but to people’s way of life. It was interesting to see the items that were being sold at these artisan markets by the observatory. I can picture this scene as I have also traveled to foreign countries and remember all of the local markets tourists buy from. However, I did not stop to previously think about how this is a newer way of life compared to community’s previous ways of life and survival. I previously was reminded by Tignor et al. in “Worlds Together, Worlds Apart,” on how humans first lived migrating constantly to follow the seasons and food supplies (2018). It is clear in our development as a species that we were all once nomads using all of the lands resources. Although many civilizations have changed and developed with technology I always enjoy seeing how well some cultures are preserved and maintained over the years. This also reminds me of the Harappan civilization. Tignor et al. also discuss this ancient civilization and how complex and specific their architecture, city, and even writing system were (2018). It seems no outside civilization closely compared at the time and even today we are unable to decipher their writing system of seals. It is amazing how some societies can be untouched and uninfluenced by the outside world, while others such as the Waorani’s have been forced to change due to modernization. Thank you for sharing such an eye-opening post. I loved how you started off with all of the positives of your trip. I can’t imagine how much the rain forest has to offer and how beautiful it was. I enjoy reading about indigenous communities relationship with the land and resources. It is very unfortunate that the oil companies are polluting the land with no remorse for the Waorani community. I thoroughly enjoyed reading this and learning more about the indigenous people. What a great experience, I hope that one day I am lucky enough to see a rainforest. It is on my bucket list! As I’ve learned in my world history course textbook by Tignor, Nomadic people rely on moving around to survive. It’s heartbreaking that they are now struggling to continue their ways as oil companies are taking over. It is even more sad that oil companies are contaminating such sacred land. I hope that one day they will come up with a better solution and protect more of this land as well as letting the indigenous people live as they have always known how. Thank you for sharing such an eye opening experience! What an interesting article! I love the fact that even before you had arrived , you had exposed yourself to some knowledge about the Amazon! That is very important because even the small effort to learn about something outside of your comfort zone is something a lot of people don’t do. Another aspect I really enjoyed reading was the silence. As many people say ‘actions speak louder than words’. I think that the language barrier worked as a bridge to connect to something deeper and more valuable! This was a very interesting article to read, as I wish to do take part in the Ecuador trip as well I always enjoy reading about others experiences. I was unaware that there remains such villages disassociated with the modern world to such an extent still today. The rain forest seems like such a wonderful place teeming with life and I covet your experience of having witnessed this. It is definitely something on my bucket list to get to experience a society so distant from the modern world, there ways of life fascinate me greatly. Thank you for sharing this and I hope to hear more of your trip. Thank you for sharing your experience. It is sad that groups of people are being taken over by oil companies. How can they deny that there is life on the land when there are clearly people there? When reading Tignor et al. I learned about nomadic communities. For example, the pastoral nomadic communities moved seasonally. They would move across Afro-Eurasia’s great mountains and its desert barriers. They traded meat and animal products for grains, pottery, and tools produced in the agarian communities. I enjoyed learning about the phrase “Pacha Mama” and how you explained it is more than just words. Thank you for sharing your story! It sounds like your experience to Ecuador through Hecua is an experience of a lifetime! I will also be going on an abroad trip to Norway through Hecua. I agree that it is tough to understand people because of a language barrier, I experienced the same thing in Costa Rica, but I only had two years of Spanish then. Did you start to catch on after a while or was it still extremely difficult? I find the information you shared about the different groups in Ecuador very interesting! I had no prior knowledge of Ecuador. I think it is awful that the oil extraction is ruining the Amazon and making the atmosphere unsafe for the people who live there. Thank you so much for sharing this amazing story about a truly once in a life time opportunity. As I have learned more and more about the Amazon and it’s struggling Native community, I realize the severity of the injustices occurring. 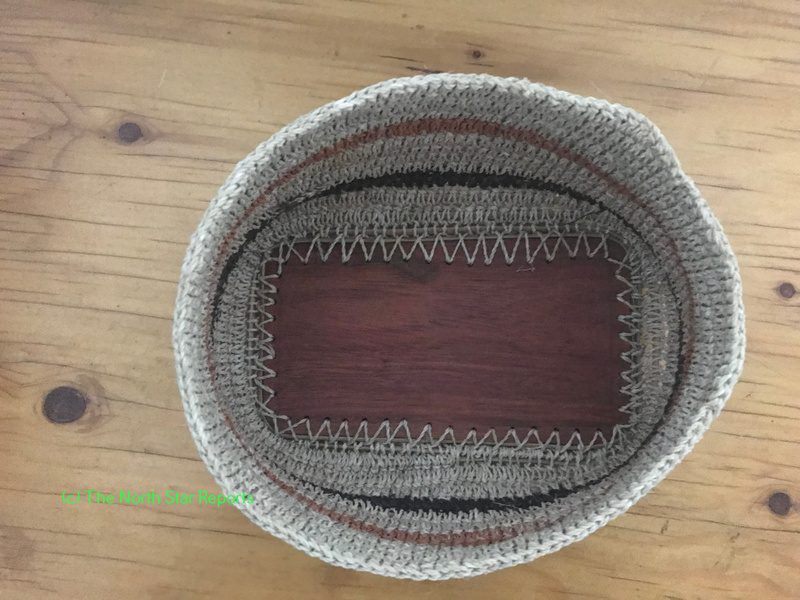 I think the part about leaning from Waorani women and how they weave is really compelling; Even though there was no communication between you two, there was an unspoken connection. I have come to realize that these unspoken connections are more meaningful then communicated ones.Thank you again and have a fun rest of your trip. The transition from nomadic to modern is extremely threatening. The semi sweet nature that the Waorani have been able to survive through selling art is an interesting facet. Art in a nomadic life is not feasible to carry but in a modern or industrialized life, art can be taken wherever and whenever. I’m curious if the Waorani have any art as history before the introduction of oil companies into their land. Communication through generations of nomadic life are typically verbal myths and stories. My interest is if there is a specific type of art that is original to Waorani people. I loved reading this article. I admire how the Waorani women live in such harmony with nature. It is truly unjust that the oil companies are willing to invade their land without even thinking twice about the consequences for the Waorani people. Are there any national organizations that are seeking to help this cause? It saddens me to hear about the indigenous people of Ecuador and how the major oil companies are taking the land they’ve lived on for a long time just to make a profit. The whole modernizing thing is awesome until you hear about the other end of it, and after reading your post I have such an urge to do something about it, but it’s so hard when the company’s are legally doing nothing wrong. Emotions aside, I wanted to mention that I never knew the soil had such low nutrients in the rain forest, I honestly thought it was the other way around but you’re definitely right about the low nutrients. Tignor’s Worlds Together, Worlds Apart describes nomadic communities in the past as lacking, “substantial public buildings or infrastructure” (Pg.45) and I’m wondering if you feel the Waorani tribe struggled with a similar problem, or if their nomadic nature for so long was due to other factors? Great job on writing this article, I feel it outlined a very important discussion that many people today turn a blind eye to. I just want to start off by saying how informational, intriguing, and honestly beautiful I thought this post was. I recently traveled to Guatemala and got to live amongst the Mayan indigenous peoples as well as the culture rich Guatemalans and it truly was an eye opening, life changing experience. However, they too were struggling with losing their culture, modernization, and major pollution issues. The water was unsafe drink, the streets were littered with trash, and the issue of owning land was also very prevalent. In your post it seems as though you were quite fascinated with the women of the culture and I can relate to that in my trip to Guatemala as well. The women are truly what make the culture what it is, with their crafts and artisanal goods, and their dedication to their home and their family. In San Lucas Toliman, Guatemala, there was a women’s center there where the women could go to learn about the skills and culture of the women before them, and learn how they too could contribute in keeping their indigenous culture alive to be passed on. It truly broke my heart reading that indigenous communities in Ecuador have become extinct due to the modernization and the oil companies taking land. I also found your story about the women teaching you how they make thread absolutely incredible. Throughout history people have learned ways to live off of the land and have made incredible goods out of the land, and put it incredible amounts of work to do that. Another example of this throughout history is the example of the distinctive Harappan Seal Stamps of the Indus Valley Culture. They were “cut from soft stone steatite and fired to a white color to make them hard.” and each had images carved on their surfaces “usually animals;..Occasionally, human figures,..[and] Many of the stamp seals have inscriptions across the top edge.” according to Robert Tignor in the textbook “Worlds Together, Worlds Apart” (Tignor, p.68). I find it so fascinating that so many of these different crafts and processes can be seen across many different parts of history in different parts of the world. Thank you for sharing your story! It truly was a joy to read. Thank you for sharing your amazing experience. I am glad that you saw many positives, despite the negatives (including what the oil companies are doing to the indigenous territories and homes). Although I have never been to Ecuador before, I have heard about how beautiful it is and hope to make it there before further destruction to the natural land occurs. Some of what you said relates to points made in Tignor’s Worlds Together, Worlds Apart textbook. The chapter we just touched on discussed the difficulties that the agrarian communities faced herding animals and cultivating crops due to the steppe environment (Tignor et al., 2018, p. 48). This sounds similar to some of the challenges that the Waorani people faced when it came to cultivating crops in the Amazon due to the dry soil. Great work, I really appreciated your post and hope you enjoy the rest of your trip. Thank you so much for sharing your study abroad experience! It was great to hear and learn more about the Amazonian culture. I love learning about new cultures so I was really interested in your post, it sounds like you had an amazing time! While reading, I was reminded of the adaptability of the early humans. In “Worlds Together, Worlds Apart” it discusses the necessity of adaptability of the early humans to survive. They had to rely on resources provided by Earth and use them in new ways as time went on (Tignor et al., 2018, p. 8). I recently went on a study abroad experience in the Philippines and I saw the same qualities that you saw. I think that we can learn from this and be more conscious about the way we use our resources and how our actions affect nature. Again, thanks so much for sharing your experience! Thank you for sharing your experience! It is always devastating when you hear about oil companies taking over the land of individuals that have worked so hard to maintain their land. In the text Worlds Together Worlds Apart, they talked about how pastoral nomadic individuals would move to different areas based on their livestock (Tignor, 2018). Even though pastoral nomads were more prominent in the past, it still frustrates me that individuals are not able to move into certain areas because oil companies have taken over the land without considering the people that live there. It sounds like you are learning so much from studying abroad, I hope the rest of your trip goes well! Thank you for educating people about the struggles that the nomadic Ecuadorian people are facing. It is an important issue, and one that I had never heard of! It is really saddening that oil companies prioritize money over the lives of the Ecuadorians. They are simply just trying to continue living their peaceful way of life. I think that many people forget how significant nomadic cultures were to the development of modern civilizations. In Worlds Together, Worlds Apart, Tignor writes “…People of the borderlands—along with the cities they connected—have played a vital role in world history” (Tignor, 49). I believe that the nomadic educadorians deserve to have their way of life respected. Thank your for your wonderful article. I hope that all of your experiences in Ecuador are as magical as the peace you found in the rainforest. It is disheartening to hear about the way that oil companies have disregarded the people and environment. It is a tragedy whenever a group of people are denied the ability to continue their cultural practices. Do you have any ideas for restorations to the atrocities committed? I hope that these problems have not limited your experiences in your adventures so far. Have a great rest of your time abroad. as I have mentioned in the comments of other students who have been on this trip, I love reading about Ecuador and everything y’all have been experiencing there. What shocks me every time I hear about this section of the rainforest is the boldness of the oil companies coming in and blocking indigenous people from useful land. Though you mentioned that the indigenous people there do not consider themselves owners of the land due to their nomadism, I still feel that they are entitled to the resources they have been using and preserving for years. The “modernization” of their lifestyle (selling crafts) is a result of globalization. Consumerism and the globalization of big business, like oil companies, is causing people to have to monetize everything in order to survive. We can relate this to other industries as well… most of them, in fact. I am curious to know if there are any advocacy groups in Ecuador working against the oil industry so the indigenous people and the rainforest can thrive in peace. Thank you for sharing your experiences and have a great rest of your trip! Thank you for the wonderful comments and question. Yes, there are many advocacy groups. I currently work at an environmental organization in Quito that helps collect data about the real damage and the real cost that is happening daily in the country. There are also a lot of indigenous groups such as CONAIE that have been in place for many decades to help protect indigenous rights, which includes right to the land and health. Most of the advocacy groups have an element of intersectionality, with a cross over between rights of Nature and indigenous rights because the end goal tend to be the same. However, the common story is that companies come in, find oil or gold or some type of natural resources, and then they go around the system and the Constitution to exploit the land and people for profits. I am still trying to find out how this can keep happening when there are clear rights given to Nature and the indigenous people in the new Constitution of 2008. My best and most cynical guess is that money and power are convincing enough to go above the laws that are in place. I think that it is amazing that you are able to study abroad in Ecuador! What an interesting place and culture to learn and grow in. I think that it is really cool that you were able to learn the customs of the Waorani women and learn to weave. I also think that it was interesting that you weren’t able to communicate with them other than gestures and the watchful eye. Your story reminded me of the Vedic people that we just studied in my history course. The Vedic society had their own culture and beliefs, but as newcomers entered their villages, they were accepting and learned new and innovative ways of life. This reminded me of the women that you talked about because they see new people all the time in the science observatory. I’m sure that they learn a lot of new things but still stick to their roots, which I really admire. Thank you so much for sharing your experiences! It sounds like you are not only having a breathtaking experience in Ecuador but an eye opening one as well. I was picturing the Amazon while reading your post and can only dream of what it looks like in person. It saddened me to continue reading about the decreasing amounts of indigenous individuals in that area due to oil companies. The pressure of continuously having your home land taken away from you would not only be defeating but stressful. It reminds me of how climate change caused individuals in Southeast Asia were forced to migrate due to drought. These individuals went through grueling circumstances to survive and carry on their culture. It must take grit and will power to go through situations of migration similar to these indigenous and Southeast Asian individuals. Thank you for sharing your story! It sounds like you are really enjoying your trip as well as learning a lot from it. I find destroying the Amazon and making the indigenous people move to be very heartbreaking. It is horrible how they are being pushed away and denied to live their cultural ways and practices. I could not imagine what they have to encounter. I am hoping something will be done soon in the future to help them receive justice.